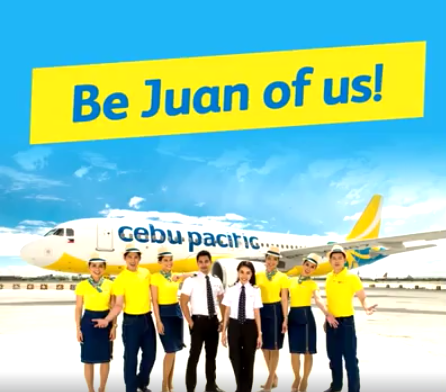 Be part of Cebu Pacific Cabin Crew family. Cebu Pacific is again hiring to fill-in Male & Female Cabin Crew positions. So, start updating your resume ladies and gents and join the CABIN CREW RECRUITMENT EVENTS. **Note that they will only be accepting CVs from 9AM to 1PM only. And be sure to come in business attire. I want to be Juan of your cabin crew member as a Flight Attendant.I am asking that I am capable to be your Juana be because I am a fresh graduate and still no CV has been released from school.